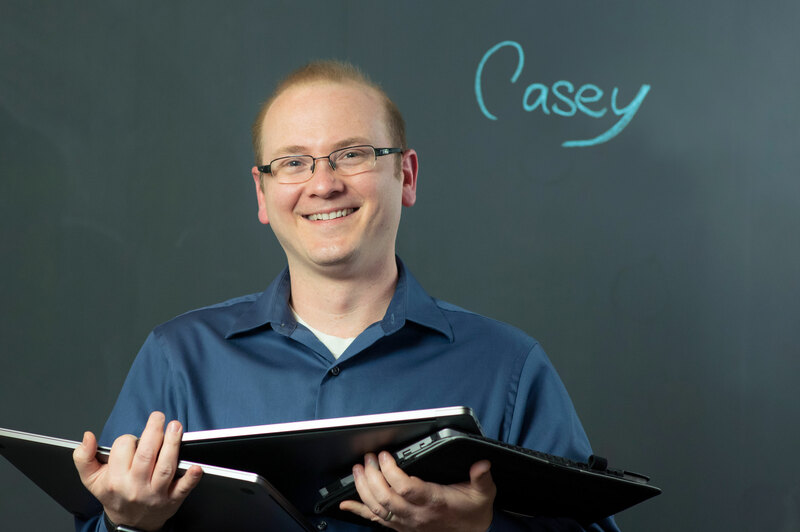 As Davis & Company’s Director of Technology, Casey employs strategic guidance, technology discovery, artistic vision and best practice solutions to deliver rich and engaging content. He joined Davis & Company in 1998 and has worked with companies, such as BD, Aetna, J.M. Huber and Petro-Canada. Casey’s expertise in technology keeps Davis & Company in the forefront of web, interactive and video consulting. He advises clients on technology projects, leads the video production team and directs the programming and design of websites and online surveys. Casey holds a bachelor’s degree in fine arts from the School of Visual Arts (SVA) in New York City where he studied film, graphic design and illustration. Motion graphics animation for a series of 45 second videos focusing on enterprise mobility. It depends on the task at hand, but usually alternative rock. Creating an interactive experience is what I love. It’s a mix of storytelling, visual design, animation and user interaction. Watch films, make indie video games for iPhone/iPad and spend time with my family and friends.